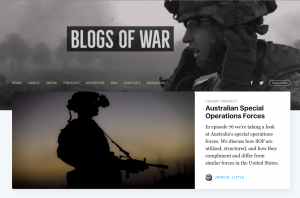 Regular Blogs of War and Covert Contact contributor William Tucker joins me to discuss the Lieutenant Commander Edward Lin espionage case. While little is known about the case, and Edward Lin has yet to be convicted, all signs point to a very damaging affair. Lin was born in Taiwan, left with his family at 14, and became a naturalized citizen in 2008 before working his way into one of the Navy’s most sensitive roles. It will be a case to watch – and will likely take a long time to unfold. Along the we we touch on the necessity and challenges of integrating naturalized citizens into our defense and intelligence communities, the difficulty of protecting America’s vast intelligence and military machine, and how complex counterintelligence investigations are managed.